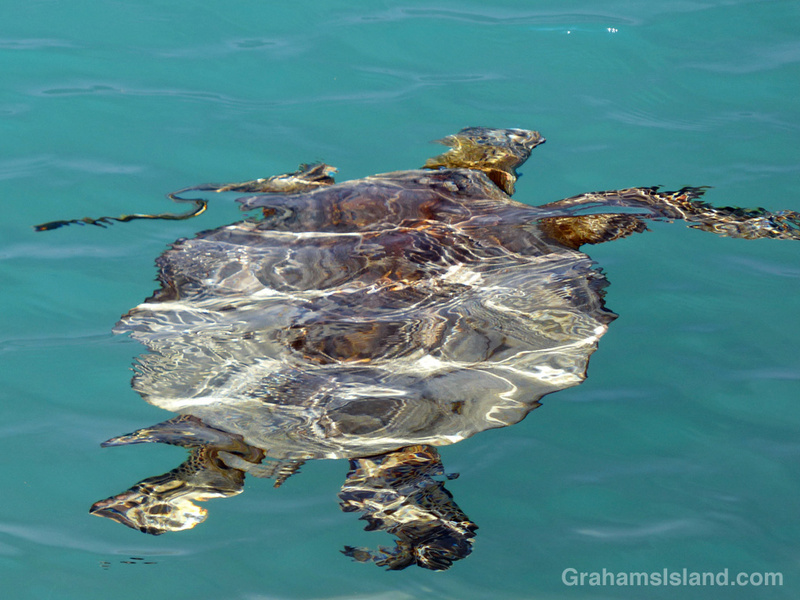 A green turtle takes on a different appearance as it swims through the waters of Kiholo Bay. The original photo (above) already has an impressionistic look, but I experimented with a few effects and quite like the subtle difference of the posterized version below. It is a bit. 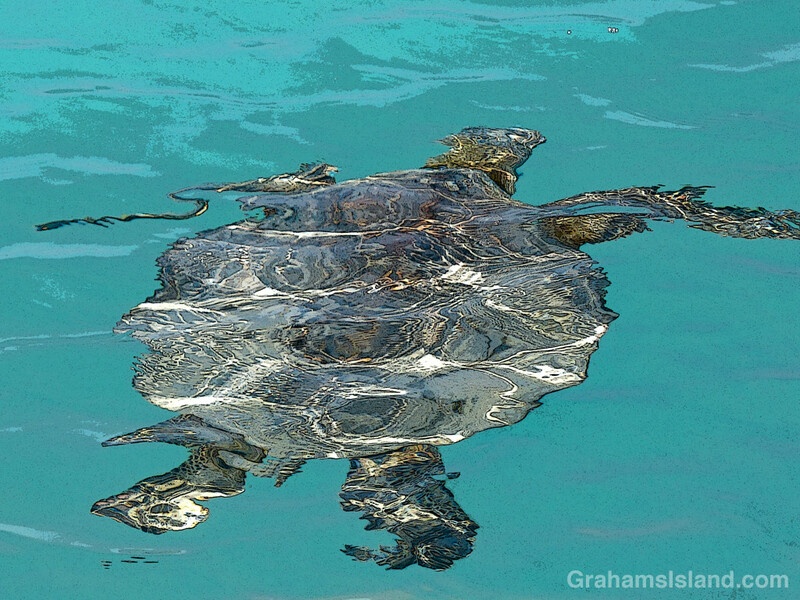 When I’m photographing these turtles I always take a lot of shots because I never know exactly how they’ll turn out. I like the effects too. Must have been incredible to see and photograph this beautiful creature. Thank you for sharing it, and a great example of experimentation. Thank you. Thanks. I love seeing turtles. They’re so cumbersome on land, but so graceful in the water.